Inkjet printing compatible, lightly textured with a transparent clear, glossy finish. 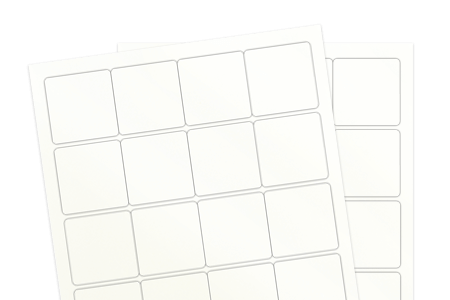 Durable, tear and moisture resistant clear labels. Inkjet Weatherproof Labels may be exposed to the elements, but saturation or submersion is not recommended. To protect the ink and prevent it from scratching or running off an additional topcoat may be needed.